Somalia’s economy has managed to survive state collapse, maintaining reasonable levels of output throughout the country’s two-decade-long civil war. Now, with political recovery and transition slowly underway, the country’s economy faces new hurdles. Investors have come to Somalia looking to cash in on the rebuilding process and abundant natural resources in areas such as agriculture and livestock, fisheries, and oil and gas. More innovative fields, such as mobile technology, have also been taking off, although they still only impact a minority of the population (22.5 out of every 100 inhabitants have a mobile phone subscription in Somalia, significantly lower than the developing world average of 84.3). It is hoped these developments will lay the groundwork for broader economic growth. The second pillar of the president’s Six Pillar Strategy to stabilize the country is economic recovery. In line with this, Somalia aims to build a transparent, formalized, globally competitive economy that collects tax revenues. But the government faces a number of challenges as it works towards these goals. IRIN looks at some of the most pressing problems. 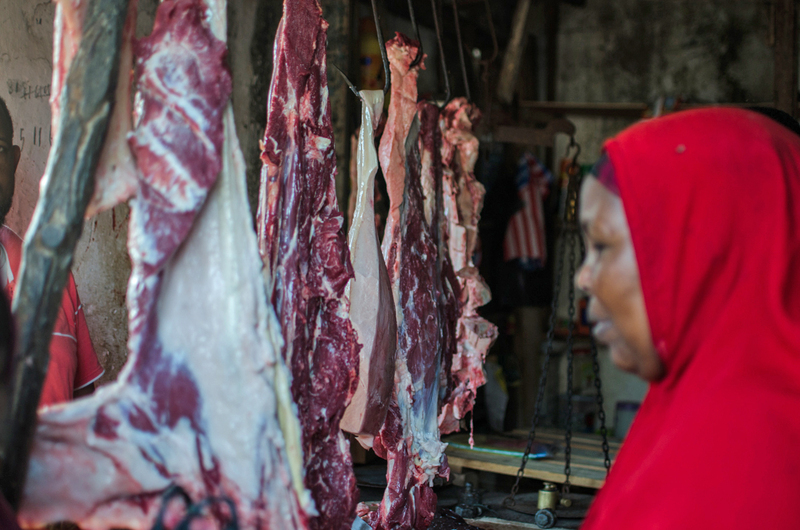 Somalia’s government does not have the capacity to participate in certification schemes or to provide authenticity documentation that would enable businesses to sell goods globally. Firms instead have to find unconventional, and often costly, workarounds. Although sesame seeds are grown in large quantities in Somalia - in 2012 the country was the 12th largest producer in the world - exporting them is a challenge. Alinovi notes that similar mechanisms are used when it comes to exporting many fishery products. Somalia is not a member of any regional economic blocs, and it has few formal trade deals with other nations. The US and the European Union currently have no trade agreements with Somalia, and the country is not a member of the World Trade Organization, compounding the difficulties local firms face when competing regionally and internationally. In 2012, Somalia exported goods worth US$693 million (509 million euros), according to data from the European Commission’s Directorate-General for Trade. While this represents a significant increase - in 2008, exports were less than half that number - the country still runs a large trade deficit. In 2012, its imports were valued at $1,818 billion (1,335 million euros). It also exports less than other countries: Somalia is the 171st largest exporter in the world, and it has the fourth lowest GDP per capita, according to the CIA World Factbook. Somalia’s biggest export market is to the United Arab Emirates (UAE), which takes in more than half its total exports. Just three countries (UAE, Yemen and Oman) account for 82.5 percent of all exports, predominantly in livestock, out of Somalia. As a result, businesses have to go to great lengths to trade with other countries. “Businesses register in Dubai in order to get access to finance and the like,” said Nick Haslam of advisory firm Adam Smith International. This also means that businesses are less transparent. “Who is behind certain business sectors? It’s like an onion. Every time you peel some layer, you discover other friends behind it without necessarily being very officially present,” added Alinovi. Restoring the credibility of Somalia’s currency will also be crucial to economic development. The Central Bank has identified “the introduction of new and unified currency” for Somalia as one of its strategic goals for the next five years. “There were (and still are) several versions of the same currency (Shilling) in circulation concurrently, and most of them are fake currencies,” the bank noted in its Strategic Plan 2013-2018. Since the early 1990s, no bank notes have been printed officially. “The collapsing of the Central Bank and the banking system left a vacuum for monetary and regulatory control and totally shattered the country’s payment system,” noted the report. This led to “currency substitution and the growth of the parallel currency market,” with warlords and militias issuing their own currency. This means that there is a large black market for currency. Officially, Somalia’s shilling trades at around 1,200 to the US dollar, but it is about 15 times that rate on the black market. In mid-2013, the International Monetary Fund resumed relations with Somalia after 22 years. For now, it will not provide loans to the country, but it pledged to provide technical assistance and highlighted currency reform as a major priority. But the Central Bank is still struggling. Central Bank Governor Yussur Abrar resigned in November after just seven weeks, citing claims of corruption and government interference, and while an interim leader has been appointed, the Bank has yet to find a full-time replacement. Nowhere are the problems and potential of the Somali economy better exemplified than in the oil and gas industry. There are massive reserves, and even before the collapse of government, large firms were exploring the possibility of mining oil and gas. But lack of legislation and political wrangling at regional and national levels impede development in this sector. Some large firms, including BP, Chevron and ConocoPhillips still hold exploration rights dating back to before the civil war and have had discussions with the central government. In August, Soma Oil and Gas, a British firm founded earlier in 2013, signed an agreement with Mogadishu to begin exploring oil - much to the chagrin of the Puntland and Somaliland governments, which have separate deals with other firms. It remains unclear how old contracts will be resolved and who will have the ultimate right to negotiate new deals. “Oil and gas has huge potential, but the current uncertainty surrounding federal and regional states and the lack of agreement over resource sharing and taxation means that it will be very difficult for that sector to take off until those issues are resolved,” noted Haslam. There is also a need to ensure that economic growth benefits the people, especially as foreign direct investment grows. Following the collapse of the Siyad Barre regime in 1991, the private sector stepped in to provide most basic goods and services, and has actually performed relatively well throughout this period despite rampant insecurity and lack of infrastructure.